Time and tempreture clock aviable in customsisd size as per requirement for long viewing ditance and small places. Aviable in Red, yellow, white and blue colour. 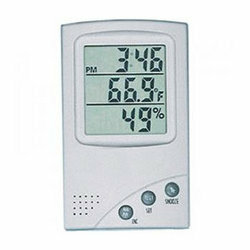 We are engaged in offering our clients with an optimal quality range of Digital Clock And Temperature, which can work independently and data downloading from server is not required in these clocks. Further, we offer these clocks with customization facility, thus our clients can avail these as per their specific requirements. 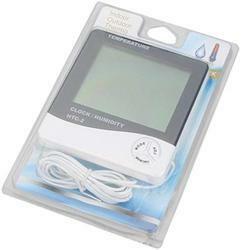 - Periodic Temperature/ Date/Time Display. - Control Devices according to programmed Upper/Lower Temperature Threshold. - Log Temperature Data in Text, CVS, Excel Format.